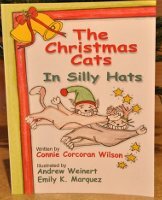 ﻿ Quad Cities Learning, Inc.
We carry a wide range of books to suit a variety of budgets and tastes. Our most popular products are shown below. Please call or stop by for more information on products, current promotions and custom options. A book of short essays, poems, and memoirs. A book of humor and political observation(s). 50 seventies movies with trivia, major cast and interactive trivia. Winner of 5 national awards. 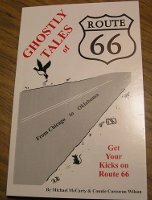 The route from Chicago to Santa Monica Pier, taken from Quixote Press' trilogy with several new stories, but no illustrations. Chicago to Oklahoma, with pictures. 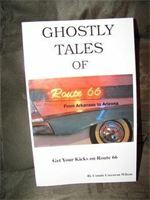 The route from Oklahoma to Arizona, with a story about the Hanging Judge of Fort Smith, Arkansas, with pictures, from Quixote Press in paper.